“The world is a book, and those who do not travel read only one page,” says a famous adage by St. Augustine. Indeed, travelling is something all of us would like to do. When we travel, we become speechless with all the new beauty we see, the cultures we learn and the differences we get to appreciate. We may have spent money that we worked hard for but we would always end up happy and full of new life lessons. After a trip, we end up being a storyteller. Well, you don’t have to be a backpacker or an extreme adventurer in order to travel. You can just work each day like you usually do and then take a grand break and travel to a place you always want to visit. People have different ways to express their desire to travel. Others have a mood board or a vision board where they post images of the places they want to visit. Still others collect items that signify places and countries that they had been dreaming to see. 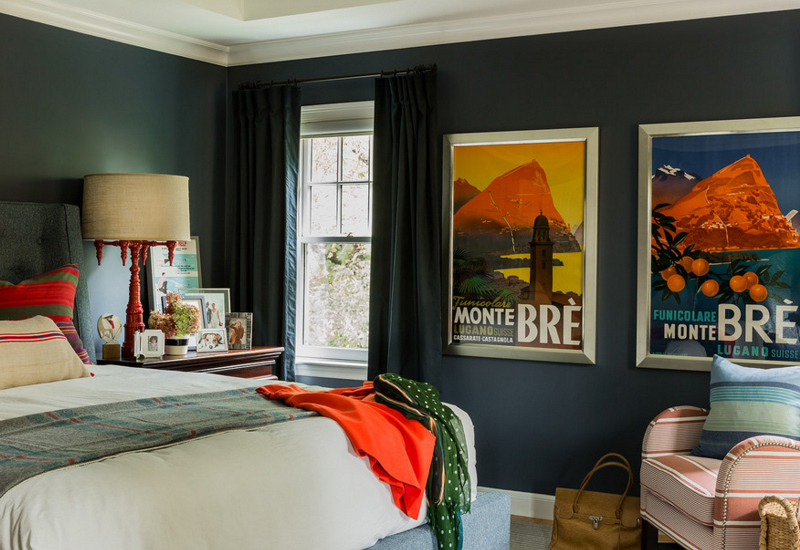 But the best way to incorporate your desire for travel is to add it to your home. How to do it? Here are some tips you can apply for your bedroom, living room, working area and just any space where you can to bring that “travel” feel. The most common way to add that travel feel to your home is using a map. You can get a bedding with a map print or use decors that are made using a map. Or you can actually hang a huge map on the wall too. Whatever type of map you use, it wil no doubt give your home the wanderlust aura. 2. Use world-travel related cushions. When it comes to cushions, there are many options available. Many throw pillows have prints that are related to travel. It could be quotes about travel, famous landmarks, and many others. 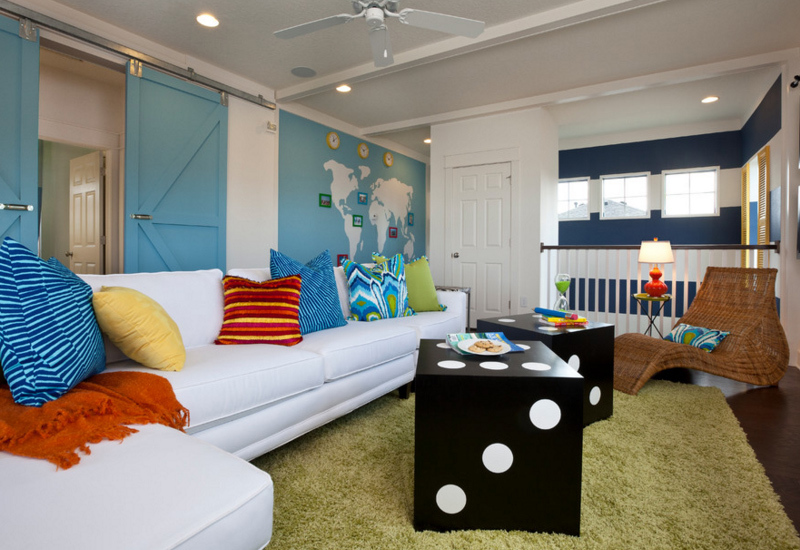 You can pick those which fits to the color scheme of your interior. 3. Have a trunk in your space. Well, it doesn’t necessarily mean that you will add the trunk that is used for travelling. Because of the classic nature of trunks, they already come in various items. It could be a chair, a center table, a side table, an ottoman, a bench, a cabinet and many others. But yes, you can also add an actual trunk for decor too but make sure that you can also use it for other functions aside from storing stuff. 4. Add travel-related wall arts. Aside from maps, you can also look for other framed all arts that are related to travel. There are some that feature famous spots and vacation photos. Photos of major landmarks is also a good idea to bring to the space. Or you can frame you own photos when you travel to places and mount them creatively on the wall. You can actually make a wall gallery of photos. 5. Bring in furniture that suits your style. There are chairs with map prints or those with flag designs like Union Jack. And there are also furniture that are shaped like a luggage or a trunk. While others have map prints on them. You can use these furniture. But that isn’t necessary. You can just bring in the plain colored chairs or those with a beautiful design without the prints because it might already make your space busy. You can just use the usual furniture we can find in the house and let the decors and accessories do the work. 6. Choose beddings for the bedroom. 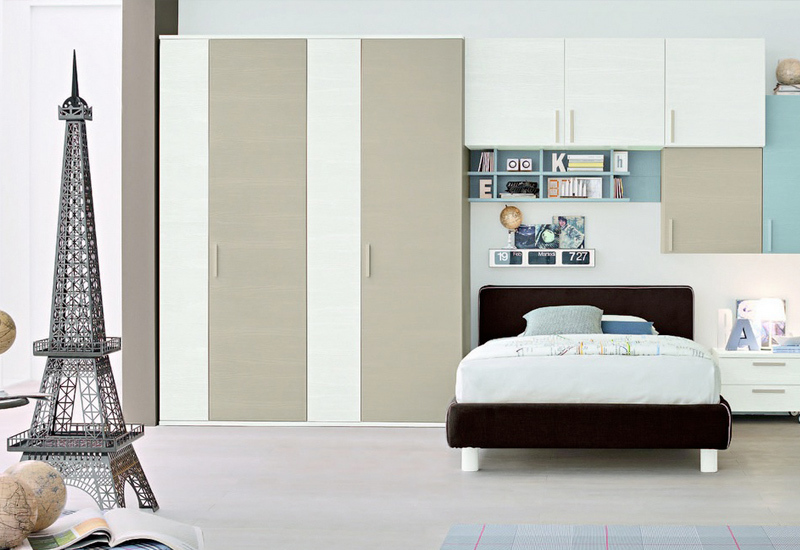 If there is one space that we can customize and personalize in the manner we want, that would be the bedroom. You can get beddings and duvet sets that are travel-themed. There are those with the usual map prints but others have symbols of items used for travel or prints of world landmarks. 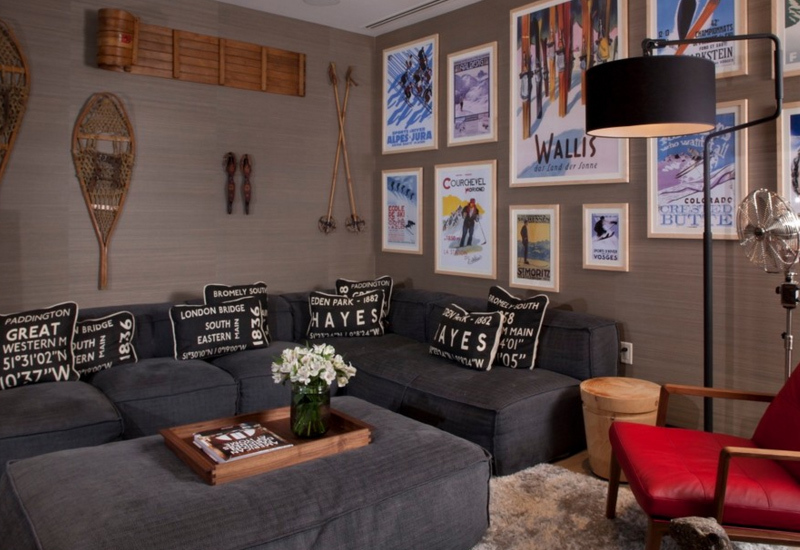 Those with post-office inspired design can also fit for a travel themed space. So, how about the lighting? You can also get lighting fixtures like lampshades that are related to travel. There are lamps with globe design or globe accents. Or you can opt for lighting with an industrial look because this can also be linked to travel themed decors too. For kid’s bedrooms, there are lightings that are shaped like a hot air balloon, airplane, and others. And of course, don’t forget the natural light from the windows too. If you love travelling, for sure you were able to collect many souvniers from different places from keychains to tee shirts. You can display them to showcase the palces you have already visited. It will also me a good addition to your home decor and it is one way of showing how much you indeed love travelling. You already know that there are many ways to decorate the walls. 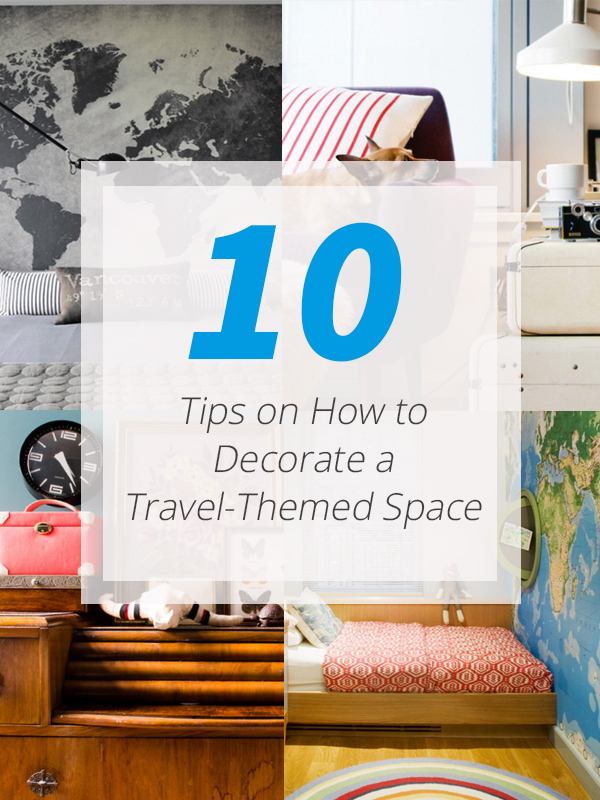 And you can do the same with your travel-themed space. 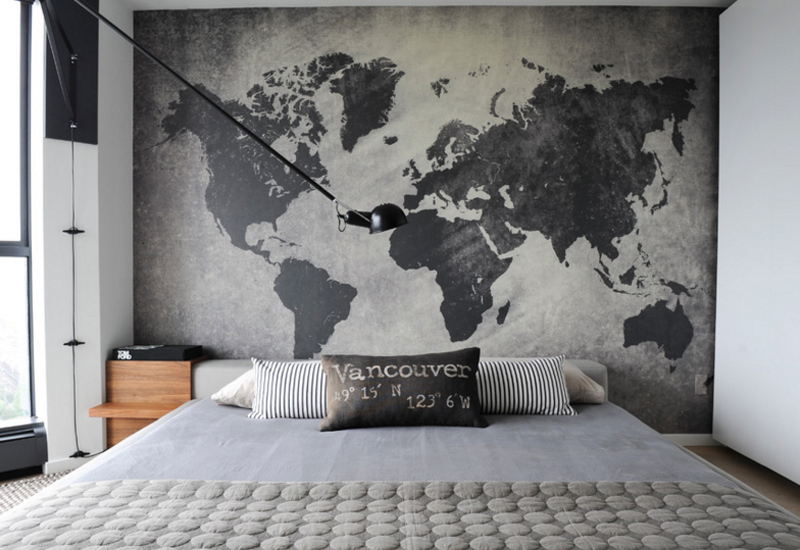 You can use wall decals of maps which comes in various styles. 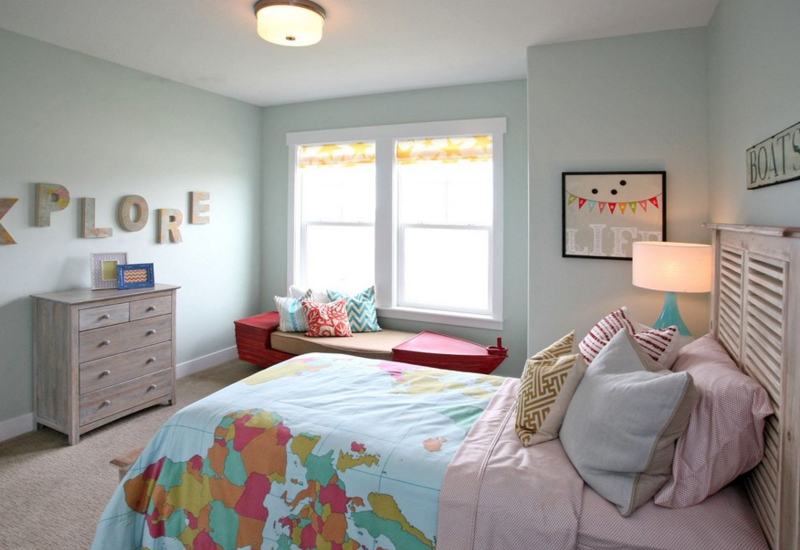 You can also mount letters on the wall with words that say “Wanderlust” or “Fly” or “Travel” and others. Like what I said, adding accessories to the interior that are travel-themed is a good way to complete the feel. 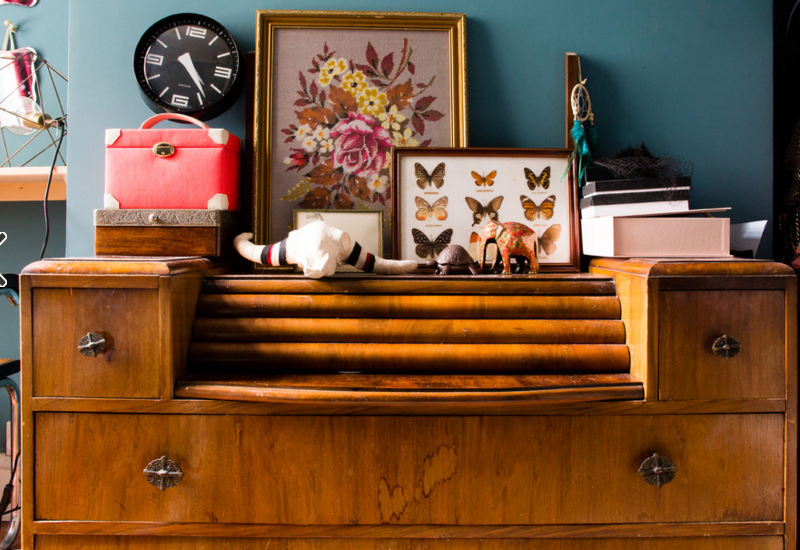 You can start with the big furniture and decors and then add some knick-knacks that would even make you feel excited about going somewhere. There are plenty of this on dollar stores or antique shops or just any shops that offer display items. I am sure you will be able to find one that fits your decor preferences and budget. It sounds very exciting, right? Yep. After seeing the images above, I am sure that you will feel excited to decorate you space because whatever is the look of your bedroom or living room right now, it can be easily transformed with this theme merely by adding decors and accessories into it. But aside from the decors, never ever forget to keep your home clean and organized because no matter how beautiful the design is, if it is cluttered, it will still be useless because the attention will be drawn to all the mess you have in your home. So, what are you waiting for? 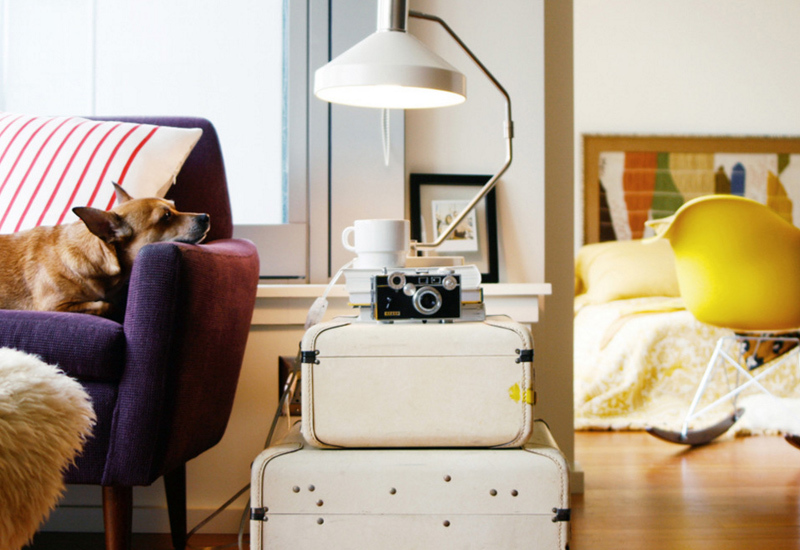 Go ahead and bring out the wanderlust in you by decorating your home!